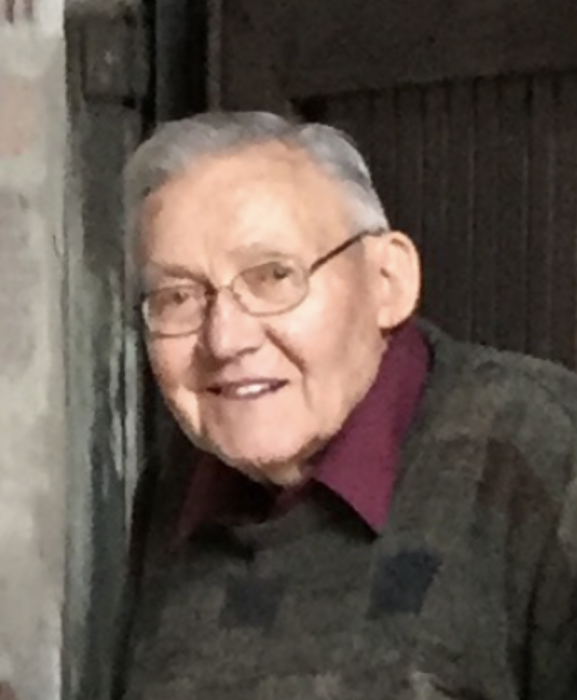 Oliver Vaughn Miller passed away at the age of 91 peacefully on Jan. 27, 2019, surrounded by close family members. He was born in Sassafras, Kentucky on January 21, 1928. His early years were difficult, leaving school after 7th grade to help support the family. He assisted his father with various jobs in “coal country”. At the age of 16, he migrated to Detroit to seek work. He began training as a machinist but was later drafted and served in the front lines in the Korean conflict from 1950-1952 He reached the rank of Sargent and received a Purple Heart. He returned to Detroit and continued his career as a machinist and was later hired by the FoMoCo as an assembly repairman and became an inspector. He married the love of his life, Marjorie and celebrated their 64th anniversary. He retired after 35 years with Ford in 1996. His retirement was spent tinkering with home improvement projects, fishing and being a loving grandpa. In addition to Marjorie, he is survived by his children Ronald (Patricia) Miller, Phyllis (Dwayne) Kubacki, Barry(pre-deceased) , (Donna) Miller. Grandchildren Kimberly Miller, Kari Miller, Andrew Miller, Julie (Josh)Warren, Katie (Brandon) Price, Lindsey Kubacki, Brittany Miller and Ashley Miller. Visitation will take place Friday, February 1st 3:00-9:00pm at Fred Wood Funeral Home-Rice Chapel 36100 Five Mile Rd. (E. of Levan) Livonia. The funeral service will be held at the funeral home Saturday, February 2nd at 10:30am, visiting 9:30am. In lieu of flowers memorial contributions can be made to the American Heart Association or the American Lung Association.